Safety First Community Training Centre is a Community Hub working with adults who need help. 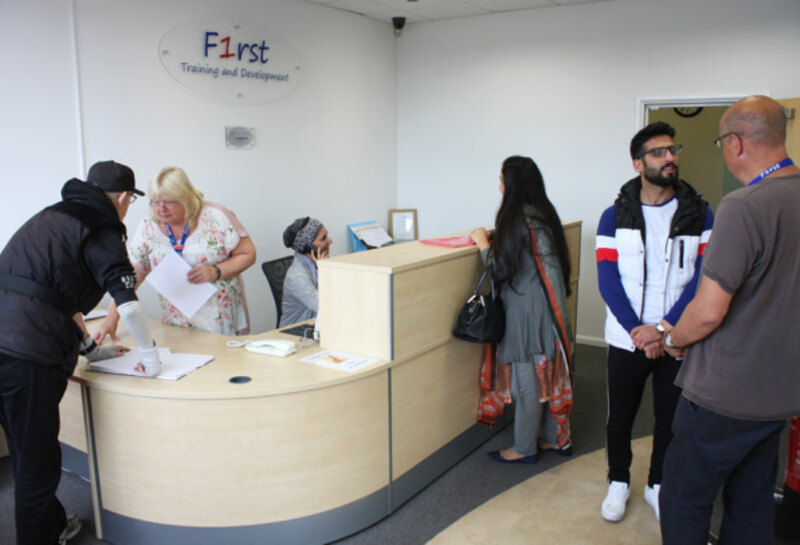 Our Community Hub supports the development of individuals some of who are furthest from the Labour Market because of disability, language, age or other reason. Safety First Community Training Centre is run by the Community for the Community. 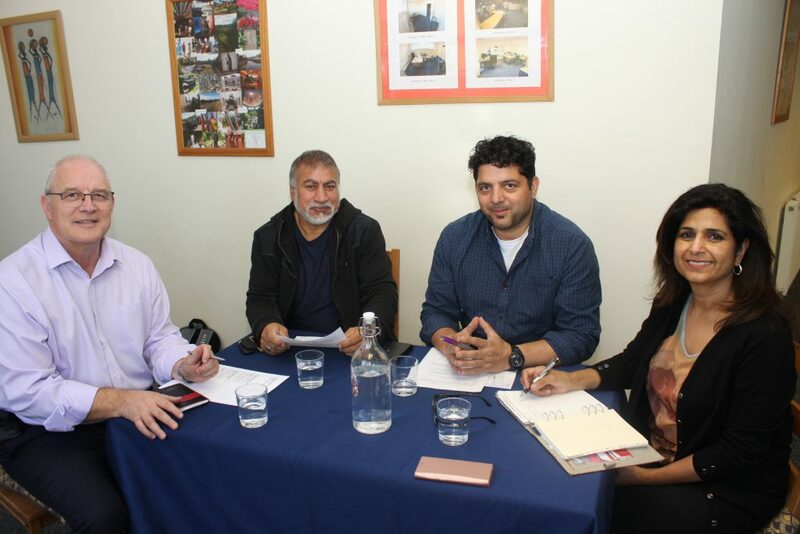 We are a social change charity providing quality support including accessible training through classroom sessions and one-to-one guidance. 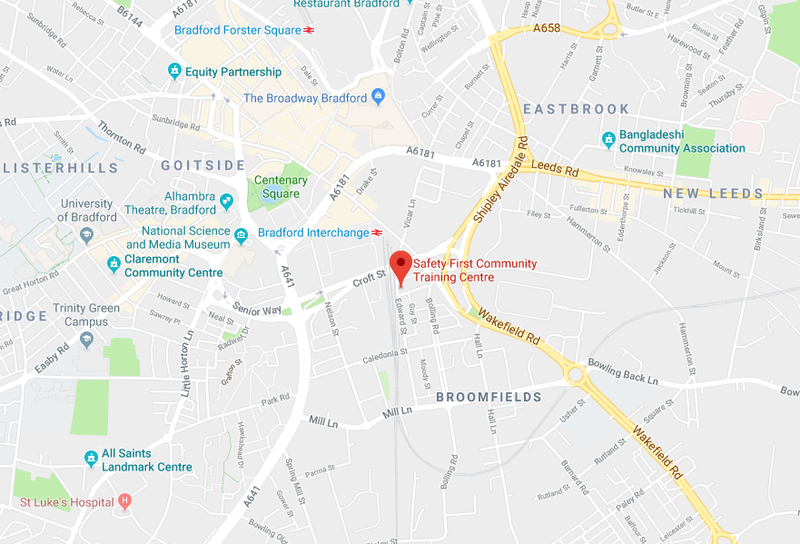 Located close to Bradford City Centre, Safety First is a focal point in the community where people access support and can become involved in a range of activities. Our qualified staff with diverse backgrounds provide flexibility in both learning styles and environments to suit learners with diverse needs. Further your learning with one of our Satellite Venues in many communities across Bradford. Welcome to Safety First Community Training Centre. Please get in touch if you need anything. We hope to see you soon. At Safety First we believe that everyone should have the opportunity to access support. There are numerous internal and external barriers preventing people in difficult situations from improving their lives. We help to remove these barriers so that you can move forwards and change your own circumstance. Exit the interchange at the train station exit onto Bridge Street. Take the first right onto Vicar Lane. Cross directly over Croft Street onto the adjacent Edward Street. We are in the first building on the left, with the entrance on the far edge of the building.